The Young Farmers’ Clubs of Ulster (YFCU) has launched its new strategic plan, covering the period 2018 to 2021. The document, which envisages the continuing growth in membership of the organisation, focuses on the growing range of services which the organisation will deliver for members during the period ahead. It also further defines its role as a key stakeholder within Northern Ireland’s farming sector. Improving farm safety standards has been a core objective for YFCU over the past number of years. In this context, the new strategic plan foresees the strengthening of relationships between the Northern Ireland Farm Safety Partnership and the Yellow Wellies, Farm Safety Foundation (FSS). “We already have six Farm Safety Ambassadors appointed who have been liaising with all our clubs on a proactive basis,” confirmed YFCU president James Speers. YFCU is also committed to forging a deeper relationship with the training organisation LANTRA to provide an expanded range of courses. These have been designed to deepen YFCU members’ skills base across a wide range of subject areas. To date these have included conservation-related projects and safer tractor driving courses. YFCU will also be forging closer relationships with the College of Agriculture Food and Rural Enterprise (CAFRE). 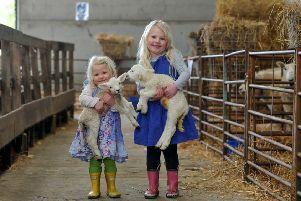 Currently, both organisations are jointly providing first aid training opportunities for all members of farming families. “Where agri-food matters are concerned, YFCU remains committed to communicating the field to fork message to a wider audience,” James Speers further explained. “Farmers are a fundamental part of the food supply chain. Training of the highest quality will be required to allow young farmers reach their full potential. We also want to see the creation of the circumstances which encourage young producers to develop new ideas and bring innovation to bear within their businesses. The YFCU president highlighted the organisation’s ongoing commitment to further developing the Land Mobility Programme, launched in conjunction with the Ulster Farmers’ Union just over 12 months ago. “The good news is that the project is delivering on its potential,” he explained. A move away from conacre to longer term land use arrangements has long been identified as a crucial development in helping to improve farm productivity in Northern Ireland while, at the same time, giving younger farmers an opportunity to get their foot on the ladder of a fulfilling career within production agriculture. According to James Speers, the YFCU will campaign to ensure that the young farmer support measures introduced by the European Union (EU) in 2015 are fully maintained post-Brexit. “The Young Farmer Payment scheme has been extremely successful,” he said. “But it still needs tweaked. For example, the new farm policy measures introduced by the UK government must recognise the need to support those producers who were not eligible for the Young Farmer Payment because they had become had of holding prior to its introduction. For further information, telephone YFCU on (028) 9037 0713.